It's spring clean up season! Call or e-mail us today to get a quote on making your yard healthy and beautiful for the coming season. 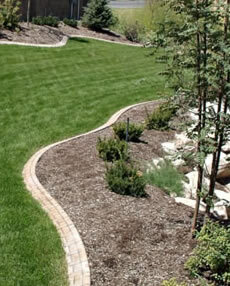 Alternative Landscape Solutions Inc. (ALS) is a family owned and operated company based in Red Deer. We use high quality materials to create a beautiful outdoor space for our clients, and offer a wide range of services to maintain the beauty and functional design that is a necessity for your home or business. ALS is operated by Bernie Rabski, a certified Journeyman Landscape Gardener trained at Olds College. Let him bring your outdoor space to life! ALS conducts business with high standards of quality, service, and ethics, and would love to add you to our list of satisfied clientele.